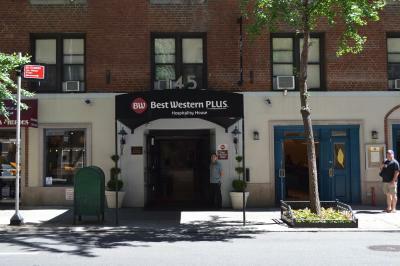 Lock in a great price for Best Western Plus Hospitality House Suites – rated 8.6 by recent guests! It really felt like home. After a long day of walking around New York it was really nice to have a space to reconnect as a family. This property is just amazing. The space! We had an apartment! 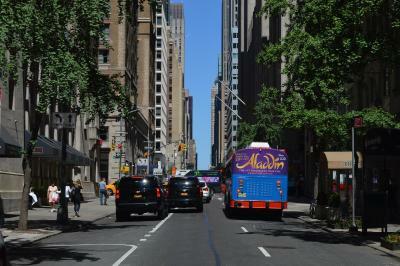 In NYC! Four of us stayed in the two bedroom suite for 4 nights. They layout is great, I never heard any other neighbors and there are only four rooms per floor. You need your room key to get past the front desk and to use the elevator, so I felt safe. The free breakfast was a lovely touch and they had protein available every day, not just pastries and waffles. Every member of the staff who we came in contact with was so very friendly. I slept like a log every night. I have never had such a comfortable bed on vacation before. This property is worth every dime. 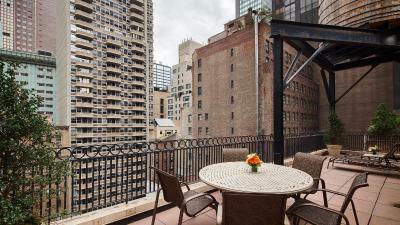 I am already trying to map our next trip to NYC and book this hotel again. PRO TIP! If you head to Lexington Ave you will find 99 cent pizza open really really late! I think I had pizza every night...ahem. Size of the room was great. Loved the treats that were waiting for us. Clean, wonderful breakfast. Quiet and comfortable. It was a great location. The suite was larger than expected and very clean. The staff over all was kind and it made the stay very comfortable. Breakfast was great!! Staff were great!!! We really liked Sam at the front desk... he was extremely helpful!! Location was my favorite part of this place . I could easily go many popular places like Time Square, Central Park, Empire State Building and etc. just by walking for 20 - 30 minutes. We stayed at two-bedroom suite, the room is really clean and huge for us. There was complimentary breakfast and room service everyday. The rooms were clean , roomy and very comfortable! We had a wonderful stay and the location was great and the staff was helpful and friendly!! I highly recommend this property!! Friendly and helpful staff. The rooms are spacious. Complimentary snacks. 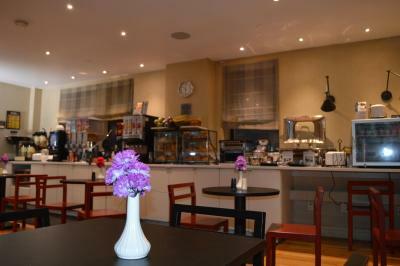 Great location and staff was very nice and accommodating. The breakfast was good and it included pastries, sausage, eggs, cereals, waffles, coffee, and juice. A little bit of something for everyone. 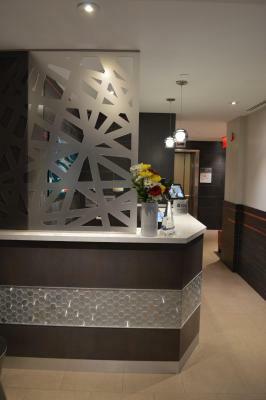 Best Western Plus Hospitality House Suites This rating is a reflection of how the property compares to the industry standard when it comes to price, facilities and services available. It's based on a self-evaluation by the property. Use this rating to help choose your stay! 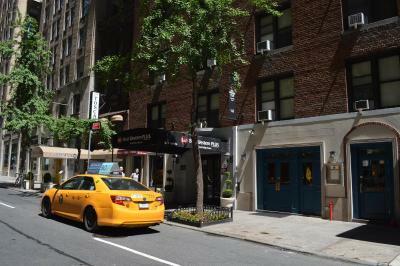 Experience the excitement and activity of Manhattan like a true New Yorker at this contemporary hotel, featuring spacious apartment-like accommodations and a free hot breakfast buffet, in the heart of Midtown. 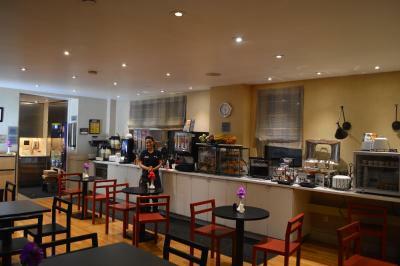 The Best Western Plus Hospitality House is ideally located close to all the action of the city. 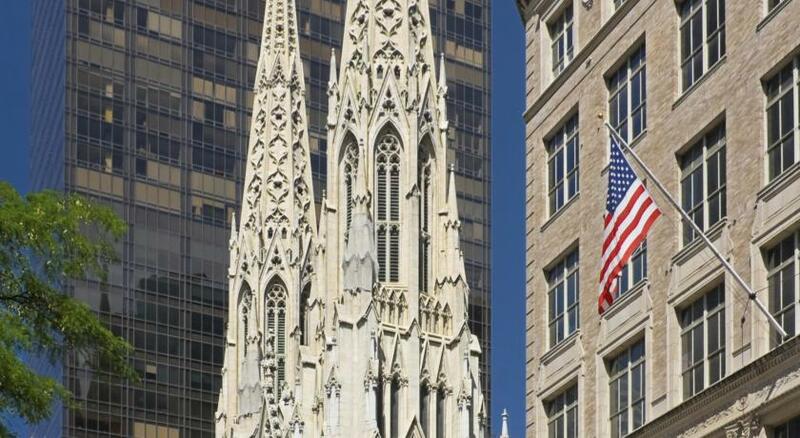 A number of the area's most popular attractions, including Rockefeller Center and Radio City Music Hall, are located within walking distance of the hotel. Guests at the completely nonsmoking Hospitality House can feel at home in the comfortable, state-of-the-art accommodations, equipped with a number of modern amenities, such as a fully equipped kitchens, free high-speed internet access and iPod docking stations. A welcome basket including snacks and bottled water is provided in each room upon arrival. 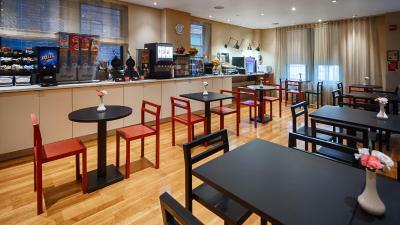 The hotel's hot breakfast includes made-to-order Belgian waffles, fresh bagels and fruit, yogurt, various pastries, muffins and breads, and hot and cold cereals and beverages. 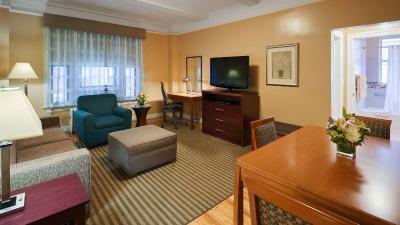 When would you like to stay at Best Western Plus Hospitality House Suites? This suite has a living room with a sofa bed and a dining area, kitchen, private bathroom with a tub and shower combination and a desk. The master bedroom comes with a pillow-top king bed and the second bedroom has two single beds. 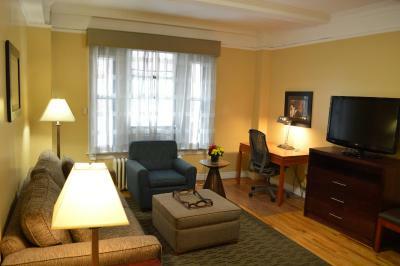 The suite has 11-foot ceilings, hardwood floors, TV, DVD player, microwave, in-room safe, hair dryer and toiletries. All of the suites come with a complimentary hot breakfast, local calls, WiFi, fitness center access, and daily newspaper. This penthouse features hard wood floors, a terrace and skylights. The living room offers a LCD TV and DVD player in the living room and bedrooms. A refrigerator, microwave, dishwasher, stove, oven, toaster, coffee machine, radio, in-room safe, and ironing facilities are provided. The bathroom provides a glass shower, a hair dryer and free toiletries. An ergonomic chair and work desk is available. 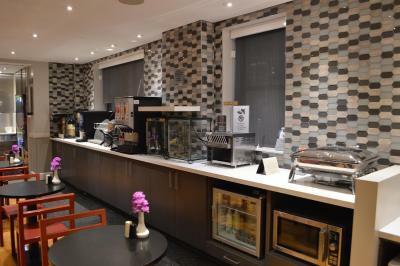 All of the suites come with a complimentary hot breakfast, local calls, WiFi, and newspaper daily. This suite has a living room with a sofa bed and a dining area, kitchen, private bathroom with a tub and shower combination and a desk. The master bedroom comes with a pillow-top king bed and the second bedroom has one queen bed. 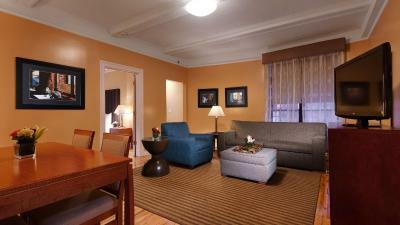 The suite has 11-foot ceilings, hardwood floors, TV, DVD player, microwave, in-room safe, hair dryer and toiletries. This suite comes with a living room that has a sofa bed and a dining area. It also has a kitchen set up with appliances, a private bathroom with a shower and tub combination, a work desk with a chair and a king bedroom. It features 11 foot ceilings and hardwood floors. The bedroom has a king pillow top bed. 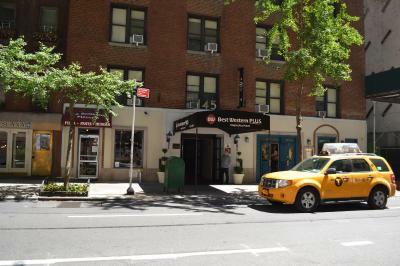 Other amenities include an LCD TVs in the living and bedrooms, DVD player, complimentary hot breakfast, local calls, WiFi access, daily newspaper, a fridge, microwave, dishwasher, stove, oven, toaster, coffee maker, iPod player radio, in-room safe, iron, ironing board, hair dryer and toiletries. This suite has a living room with a queen sofa bed, a dining area, a well-equipped kitchen and a separate queen bedroom. It also has a private bathroom with a tub-shower combination, an ergonomic chair and a work desk. 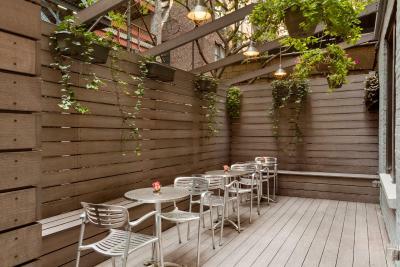 It features 11 foot ceilings and hard wood floors. The bedroom has a queen pillow top bed. Other amenities include LCD TV, DVD player, complimentary breakfast, local calls, WiFi, daily newspaper, fridge, microwave, dishwasher, stove, oven, toaster, coffee maker, iPod player radio, in-room safe, iron, ironing board, hair dryer and complimentary toiletries. This penthouse apartment has a living room, sofa bed, dining area, kitchen, hardwood floors, TV with DVD player, desk, glass shower in the bathroom and complimentary toiletries. It comes with complimentary hot breakfast, local calls, WiFi and two daily newspaper. This queen room offers a LCD TV, DVD player, radio, coffee machine, refrigerator, microwave, safe, and ironing facilities. The bathroom features a roll-in shower, a hairdryer and free toiletries. Free hot breakfast, free local calls, free Ethernet & Wi-Fi, and free newspaper are provided. Guests are invited to the YMCA down the street to participate in an array of different fitness classes and meet other travelers and native new yorkers! House Rules Best Western Plus Hospitality House Suites takes special requests – add in the next step! Best Western Plus Hospitality House Suites accepts these cards and reserves the right to temporarily hold an amount prior to arrival. Please note that construction is taking place in a neighboring building during the day. The guest room windows are double paned, but noise disturbances can be expected. Please note, events and parties are not permitted at the property. Penthouse balconies may be closed seasonally due to icy conditions. Very spacious rooms, very secure. 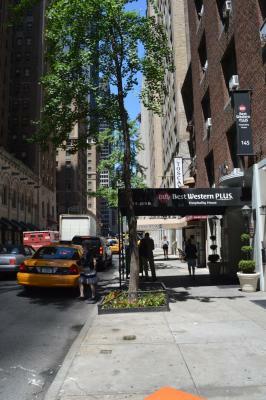 Size of apartment was bigger than most in NY, staff were extremely friendly and helpful. No frills simple basic accomodation - queen size sofa bed which kids loved! The lobbies and lift are small and cramped but the spaciousness of our apartment made up for this. Our two bedroom apartment was spacious and comfy with a full kitchen. It’s wasn’t modern or glamorous but we had everything we needed and never felt crammed or on top of each other (our group was a family with 2 young adult children). Our accommodation included self serve breakfast of fruit cereal toast muffins and some cooked items. The staff were very helpful & accommodating. There’s no laundry but the bag wash service offered was overnight & not too costly. The midtown location was perfect. The TV didn’t have many channels. There wasn’t a lot of space in the breakfast area though there was more choice than I was expecting. The two bedroom suite was very spacious and includes a kitchen. The bathroom was clean, towels were good and the beds comfortable. We had a queen suite and it was beyond large for NYC. 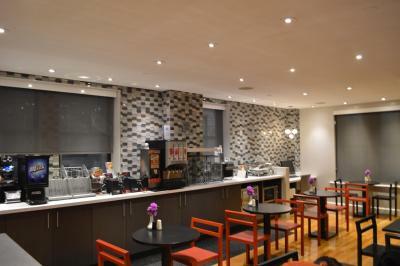 Having the kitchen was fantastic and location wise as a regular visitor to the city we will be re booking . Lifts only the slight problem as small and only one . The elevator is slow. But luckily we were on the third floor so we made do with stairs most of the time. We all shared the one bathroom, but there is another restroom right off of the stairs in the lobby for emergencies. Breakfast staff was not friendly. Only one bathroom serving two rooms - This one bathroom situation impairs the group´s dimanic. Be prepared for it. Rooms are clean and spacious. The necessary funiture and apliences are there. 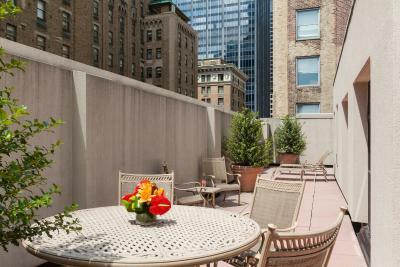 Nice location, in respect to proximity to Times Square. 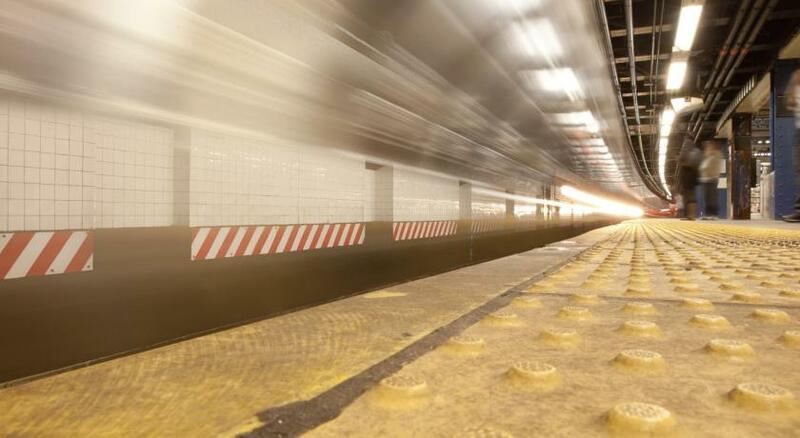 Near to several subway stations. Continental Breakfast included. Thoughtful and helpfull staff. Very clean, and breakfast was really good! Breakfast is really good but there are not a lot of healthy options. Lots of sugar in everything. Great location. The one bedroom suite is really spacious and provides all the necessary amenities at a very good price.